Is Arkansas a No-Fault State for Car Insurance After an Accident? After being in a serious car accident, one of your first thoughts is probably about how you will afford your medical bills or the damage to your vehicle. While some states have adopted no-fault insurance laws for people injured in car accidents, Arkansas is not one of those states. This means that, in Arkansas, you must prove that another driver caused the crash and is responsible for your expenses. If you or a family member was injured in a car accident, you should speak with an experienced Fayetteville car accident lawyer today. At Gunn Kieklak Dennis, LLP, our attorneys will help you build your case. Whether it is a car or commercial vehicle accident claim, Gunn Kieklak Dennis, LLP, is here to explain Arkansas car insurance laws. Arkansas is an at-fault insurance state when it comes to compensation owed for causing bodily injury and property damage in a car accident. The individual who causes the accident may also be held liable for lost income that a victim may have to deal with because of their injury. You can file a personal injury lawsuit against the at-fault driver. In a no-fault car insurance state, an accident victim must first use the personal injury protection that their insurance company provides before they can consider a lawsuit. Under those policies, a driver does not have to be found at-fault for a car accident for a victim to receive compensation in a no-fault insurance state. 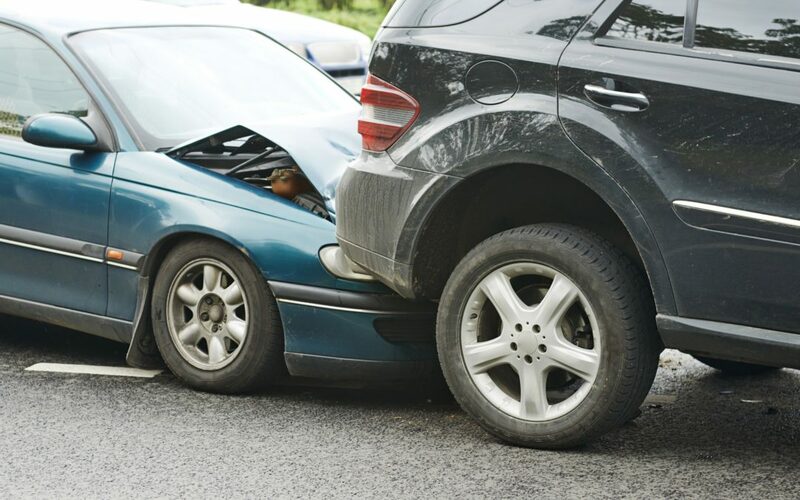 If the personal injury coverage is not enough to handle the victim’s injuries, the damages to their vehicle, and any other expenses, then they may then be able to file a claim against the at-fault driver’s insurance. If you wish to know more about the differences between at-fault and no-fault car insurance, you should speak with an experienced Fayetteville personal injury lawyer. To prove fault in a car accident claim, Arkansas has adopted a Modified Comparative Fault rule. This 50% rule states that if the victim of a car accident is partly responsible for the accident, the compensation they may receive will be reduced by their level of fault. Therefore, if the victim was 25% at fault for the accident, the compensation they are awarded will be decreased by that amount. Additionally, under the 50% rule, if the victim’s level of fault reaches 50% or more, they may be barred from recovering compensation for their expenses. This rule can sometimes result in bizarre cases where a victim could be awarded or denied recovery of compensation because of a very small percentage of fault that was over or under the 50% line. Therefore, it is important to be diligent when operating your vehicle to avoid stressful situations like this. $25,000 for damages to another person’s or driver’s property. It is also important to note that your insurance company is required to offer you uninsured motorist coverage that can cover property damage and bodily injury to drivers and occupants of your vehicle if the driver that hits you doesn’t have insurance. Additionally, if you are an inexperienced driver (driving for less than three years), you may have to pay higher rates for insurance coverage. You may also have to pay additional fees if you drive a motorcycle and want to ensure you are covered for any motorcycle accidents. Remember to properly document your injuries and the damages to your vehicle to prepare to make a claim or file an injury lawsuit. If you or a family member was injured in a serious car accident, you should contact an experienced Fayetteville personal injury attorney today. The car accident attorneys at Gunn Kieklak Dennis, LLP are here to help you fight your case against any negligent drivers that injured you. We understand how a serious car accident can change your life and we are prepared to fight for you. To schedule a confidential consultation, call us at (479) 439-9840, or reach us online.